The minimum legal 'drinking' age is 18. When going to bars and nightclubs, you should carry identification to prove you are at least 18 years old. You may not be let in otherwise. No one may buy liquor from a bar or liquor store (bottle shop) unless they are at least 18 years. Buying liquor for a 'minor' is illegal. Rental cars are freely available on the Gold Coast from Budget, Avis, Hertz, Thrifty, Europcar and several smaller operators. Vehicles are generally no more than eight months old, with automatic transmission and air-conditioning. Renters have to be 21 or older and hold a current driver's licence. An international license is not necessary. Travel Online can certainly help you with your rental car requirements, visit our Campervans and Car Rental websites for details. 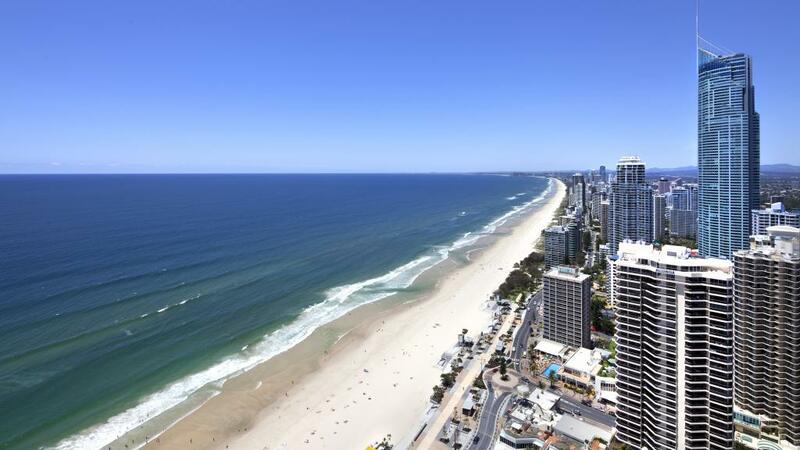 The subtropical Gold Coast has bright, sunny days (300 of them a year!). It's quite warm in summer and mild in winter and there is really no 'bad' time to visit. Seasons in Australia are the reverse of North America and Europe. Summer is December to February (20-30°C), Autumn (fall) March to May (15-25°C), Winter June to August (11 -22°C), and Spring September to November (15-25°C). All banks have automated teller machines (ATMs) accessible 24-hours a day, generally outside the branch or in the foyer. Check with your card issuer that your charge or account-linked credit card can be used in this way, and at which bank as none accept every brand of card. Be warned, cash snatching is not uncommon so be conscious of the people around you and avoid ATMs in dark or seemingly deserted places. Australians drive on the left, which can be disconcerting for visitors used to driving on the right side of the road. Roads are generally good and major routes well signposted. Speed limits and distances are expressed in kilometres and vary substantially from 50 kph in residential and heavy traffic areas to 110 kph on freeways. Drink driving is a serious offence and heavily policed. The legal limit of .05% is quite low - roughly equivalent to two small glasses of wine in the first hour and one an hour thereafter for men, less for women. Click the following links for Gold Coast maps or for information on Gold Coast regions. The Gold Coast has two daily newspapers, The Gold Coast Bulletin, and the Courier Mail (Queensland wide). The Sunday edition is called the Sunday Mail. A national broadsheet, The Australian, appears daily except Sunday, as does a national business tabloid, The Australian Financial Review. The Gold Coast Mail is a free weekly publication widely covering the gold coast region featuring local people, local classifieds, and entertainment and is published on Thursdays. Queensland Rail provides numerous daily services between Brisbane and the Gold Coast. Telephone Transinfo on 13 12 30 for route and ticket information. The Gold Coast is home to a dazzling array of places to eat. From relaxed beach cafes to elegant restaurants, there's something to tease every taste and every budget. You can pick up a restaurant guide from your accommodation or local information centres on arrival, or ask the locals where they like to eat! No service charge applies in Australia. Tipping is not mandatory but tip in restaurants and hotel bars is optional for exceptional service.